For over thirty years, Critter Control® has been keeping homes all throughout the Orlando area safe from the dangers of infestation from the likes of squirrels, rodents, and especially bats. Though our residential animal removal services are well known and highly regarded, did you know that we offer the same quality service to commercial addresses as well? How Can Critter Control® Help? 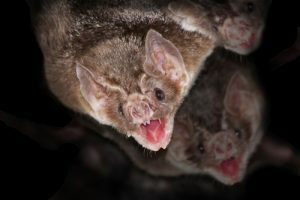 It is illegal to harm bats in the state of Florida, and removing them on your own can bring serious legal repercussions. Instead, let the expert technicians at Critter Control® of Orlando help. Our staff is expertly trained in safely excluding bats from residential and commercial properties, and we can help get your business back on track in no time. For questions regarding our commercial bat removal services, or to schedule a consultation, call us today at 407-295-7194.